The Parachute Camping hammock or also called as the Travel hammock is the right choice for anyone who seeks adventure. The hammock is extremely light-weight and can easily accommodate two adults, making it an ideal choice for people who would love to camp or trek. The fabric used is extremely strong and dries very quickly. 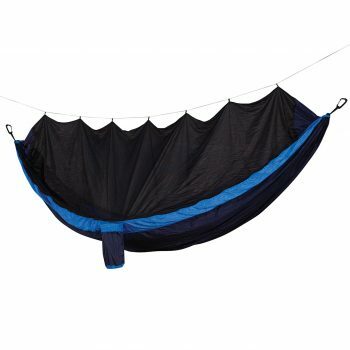 INCA’s travel hammock is made with unique crinkled parachute nylon, unlike its competition. This hammock is portable and also comes with a water bottle holder. The hammock features a pair of 3-meter braided polyester ropes and aluminium carabineers. This super-light hammock will be your best friend when you would like to kick your boots and unwind on your next big adventure. Enjoy the wild wilderness without being worried about being eaten alive by insects! The Mosquito Net hammock has a thick net that protects you from creepy crawlies while allowing you to enjoy your surroundings. INCA’s travel hammock is made with unique crinkled parachute nylon making it stand out from its competitors. 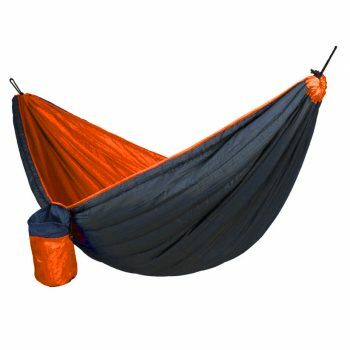 This hammock is extremely light and portable for campers and also comes with a bottle holder. The hammock features a pair of 3-meter braided polyester ropes and aluminium carabineers and it can also be used as a picnic blanket. 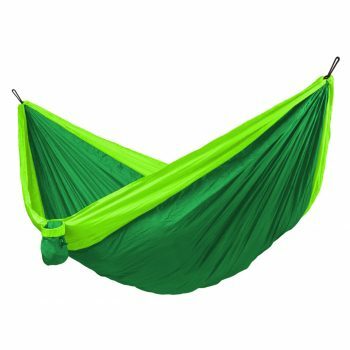 This hammock is available in 25+ colours.